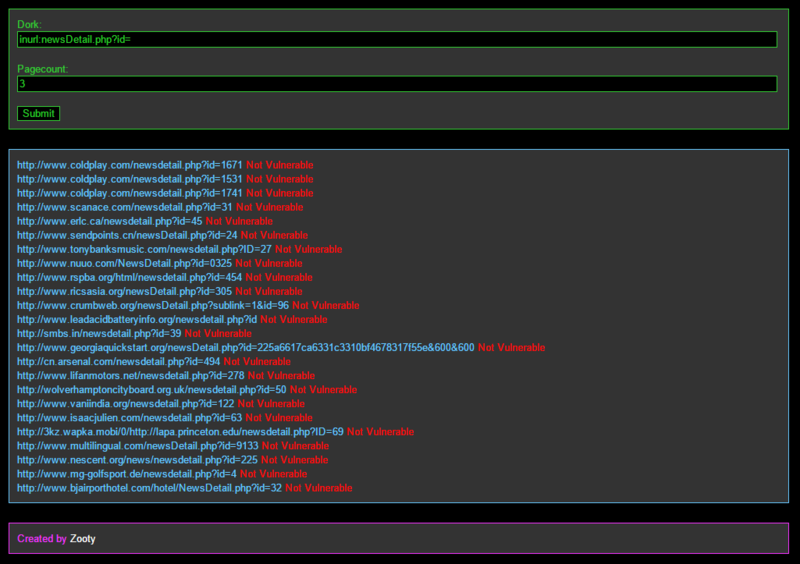 A PHP script to find webpages vulnerable to SQL injection. Pages marked with a green VULNERABLE! message are vulnerable. You might want to add a sleep after each request (in the second for loop), otherwise your hosting account might get suspended.